BioCote Ltd is the market leader in providing proven, evidence-based antimicrobial technology and world-class consultancy services. BioCote Ltd works with companies across the world, which utilise their superior, evidence-based technology, to protect products from microbes such as bacteria, mould and fungi. SALTO BioCote protected products are suitable for use in many commercial environments including hospitality, leisure, food, catering, laboratory, and healthcare sectors. BioCote® is an antimicrobial agent containing silver which is engineered to provide continuous, built-in protection on the products surface. It works by binding with microbes and damaging their cells in a number of ways, disrupting their normal functions and preventing them from reproducing. 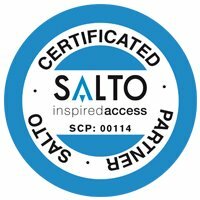 The SALTO XS4 data on card access control system is designed for use in larger buildings and enables users to work in a wire free environment so there is no need to hard wire. This allows you to keep your original doors and locks in place, making installation fast, self contained and straight forward. BioCote® antimicrobial protection is based on silver ion technology. perties, providing continuous antimicrobial protection for the lifetime of the product. control tested to ISO 22196 where applicable, in an independent laboratory. 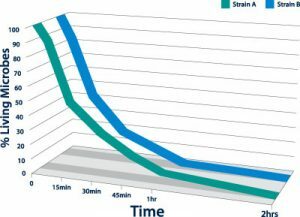 The BioCote® brand is a guarantee of superior antimicrobial performance to protect product surfaces from deterioration. 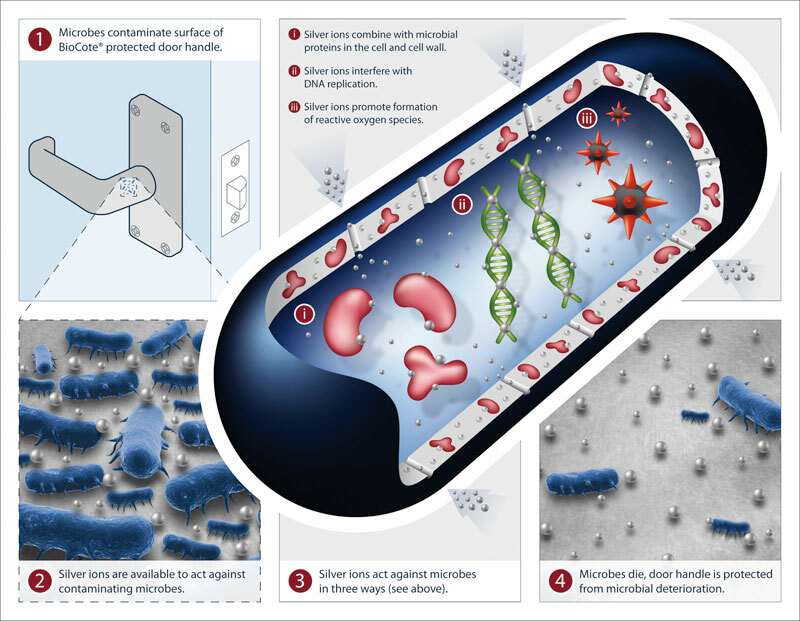 SALTO offers a huge range of electronic locks that include BioCote® silver ion antimicrobial technology. The SALTO XS4 electronic escutcheon range offers many benefi ts by using this special antimicrobial finish. The range includes wireless on-line real time escutcheons, wireless ready escutcheons, stand alone escutcheons, AMOK escutcheons, SKG escutcheons and more. The finish of BioCote® treated escutcheons differs slightly from that of standard finish escutcheons due to the mix of lacquer and silver ion particles. The finish is long-lasting and maintains its antimicrobial performance over the expected lifetime of the escutcheon.